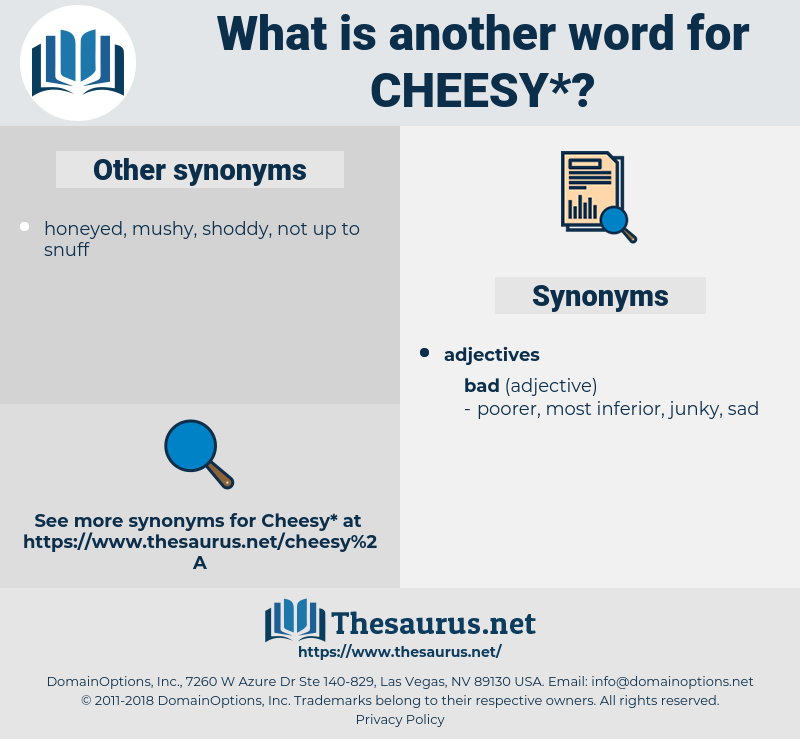 What is another word for cheesy? 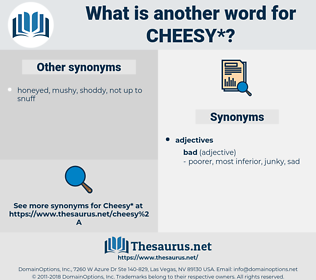 Having the nature, qualities, taste, form, consistency, or appearance of cheese. lame, lousy, cheese, rotten, crappy, pathetic, dorky. contemporary, becoming, elegant, fitting, posh, fashionable, conservative, tasteful, fine, classy, superior, high-grade, correct, good, handsome, first-rate, seemly, genteel, polished, refined, swank, modish, in, handcrafted, understated, simple, suitable, excellent, up-to-date, chic, smart, stylish, ritzy, top-notch, sophisticated, quiet, modern, proper, exquisite, first class, happening, neat, appropriate, right, restrained, classic.